The analysis of nineteenth-century political caricature has often been overlooked in favour of the colourful anarchism of James Gillray, Isaac Cruikshank or Thomas Rowlandson of the previous century, as illustrated in the British Museum’s exhibition ‘Bonaparte and the British; prints and propaganda in the age of Napoleon’. But the relative lack of salacious detail in nineteenth-century caricature and its apparent accommodation with the status quo should not prevent an assessment of the influence, importance and impact of such imagery in the reign of Queen Victoria. For it is clear that there was an appetite for such imagery by an audience which had increased in number and sophistication since the passing of the Reform Act in 1832 and which enjoyed the sharp observation of political personality contending with national events. Artists could focus on the political figure confident that they were working in a climate of intense popular interest in broad social issues which encapsulated sweeping ideas of morality and truth. 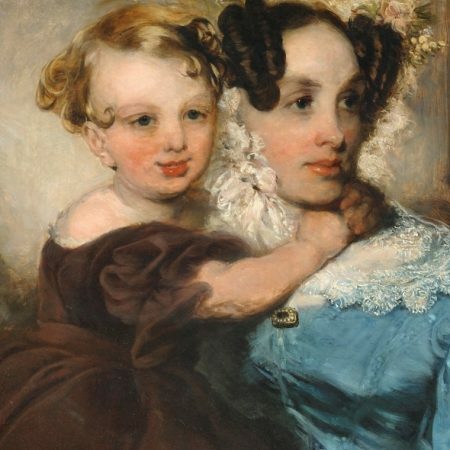 This is the subject of the book, Politics Personified, Portraiture, Caricature and Visual Culture in Britain, c. 1830-80. The idea of caricature, namely the exaggeration of physical features to produce grotesque likenesses which appeared as parodies of portraits, had by 1830 been grafted onto the tradition of satirical prints, the beginning of the period under review in the book. The art of caricature had been used to cutting effect by French illustrators such as Honoré Daumier who, in the 1830s transformed King Louis-Philippe in Charles Philipon’s journal La Caricature into a pear – poire being a colloquial term for simpleton. This relentless attack on the French monarchy in cartoons such as The Legislative Bell in January 1834 and Mr Prune in June 1833 led to fines being raised to unpayable amounts and eventual closure of some newspapers but not before the publication of twenty-six portraits of politicians. Les Celebrités de la Caricature became a template for future satirical caricature. In much the same way repressive measures in England such as the Libels Act 1819 curtailed the range of political caricature in Britain but the series of satirical portraits was kept alive with works such as H. T. Ryall’s Portraits of Eminent Conservative Statesmen, 1836-46, John Saunders’s Portraits of Eminent Reformers 1837-40 and the Vanity Fair compilations from 1868. In addition, The Monthly Sheet of Caricatures published in London in 1830 by Thomas McLean issued hundreds of political caricatures and Punch, founded in 1841, developed the weekly full page political cartoon. There was, therefore, ample evidence on which to base this book’s primary thesis, namely that the production of political likenesses allowed historical and contemporary narratives of politics to be told. By analysing the production, circulation, distribution and reception of likenesses and the debates they generated, Miller states that new insights can be made into the politics, media and culture of the time. Furthermore, he claims that the proliferation of political likenesses was crucial for the political modernisation of a politically literate Britain. This is an interesting proposition and is thoroughly examined in this book. Using the prism of the relationship between Parliament and its constituents as illuminated by the reception of political caricature, it explores how national political parties and politicians became identified with the issues of the day through political caricature. Historical trends and narratives in this period of 1830-80 are highlighted insofar as they are harnessed to political portraits and their influence assessed through the increased circulation of the graphic press and the commensurate increase in the literate – and by implication politically literate – classes. Not surprisingly the Great Reform Act 1832 is fully discussed with particular reference to George Hayter’s group portrait of the Reformed House of Commons 1833-43 given to the National Portrait Gallery in 1858. Previously artists had focused on the imbalances in the constitution as objects of caricature such as the excessive influence of the Crown or corruption in the state. But this painting of 198 identified portraits is now examined as a constitutional tool so that its monotony of appearance is allied to a discussion of the social homogeneity of the MPs and their orderly deliberation as a consequence of the reformed assembly. It is a visual rebuttal of the pre-Reform Act doom laden prediction and shows Whig ministers as heroes, responsive to public opinion demonstrating a belief in parliamentary discussion as the basis for political consensus and action, an implicit Whig idea of progress. This exploration of a group portrait contrasts with the section on individual political portraits and here the focus on analysis of historical events in providing not just contextual analysis but also interpretation becomes more problematic. For instance, there are 308 portraits of Gladstone on the NPG website ranging from the Vanity Fair Carlo Pellegrini’s Anglicised Ape cartoon of February 1869 to Evelyn Myers photographs to Harry Furniss’s drawings to Millais and Holl’s grand oil portraits. The latter depicts Gladstone as Prime Minister for the fourth time in 1892 at the age of 82, as an example of physical and mental endurance, determination, well balanced, responsible, vigorous, all of which gains in meaning if the character of the age and indeed the artist is foregrounded. For England’s institutions, as argued by Peter Mandler, in the mid to late Victorian period owed much to their Anglo-Saxon heritage, with a powerful vision of English national character and the proper conduct of the men who contributed to it and such an ideology imbued the portraits which were created. To view the political portraits of this period as having a bearing and meaning predominantly from a historical political context does belie the importance of the intentionality and artistic framework in which they were created and received. 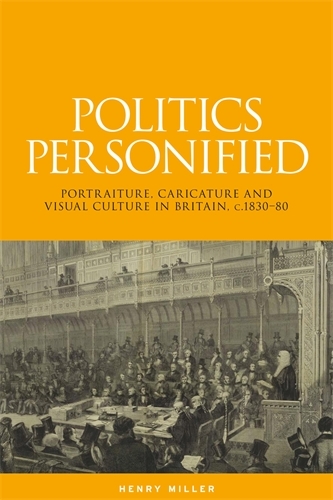 The remarkable popular and cultural resonance of political likeness in the Victorian era is, therefore, one which is cogently argued and researched in this book and calls upon new interpretations on the production, circulation, distribution and use of such politically charged images. A platform has been created for this to be evaluated in terms of a satirical tradition which was moulded and adapted in the nineteenth century to take account of European artistic influences as well as the training and working practice of British artists, keen not just to record a Lavaterian, physiognomical likeness but also to encapsulate the mood and character of the sitter and the age in which he (for it is predominantly an account of male sitters) lived.